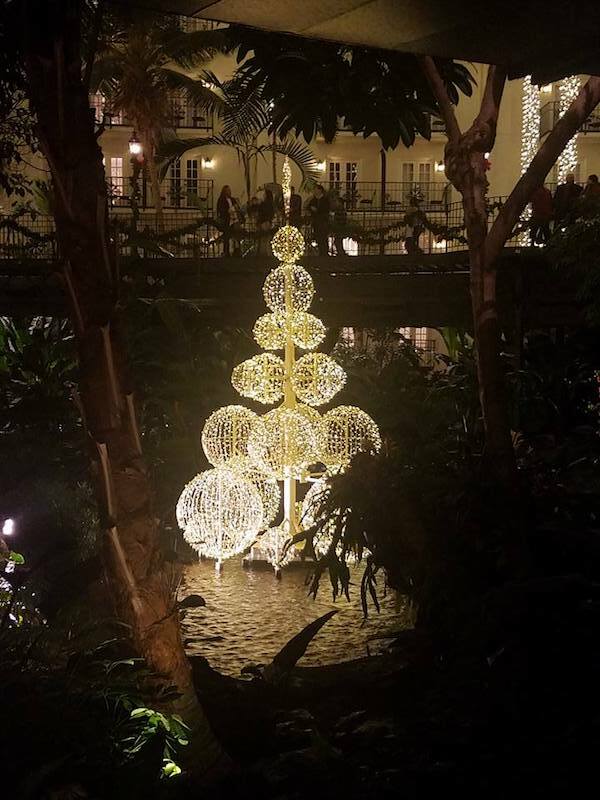 Our Research TravelingMom recently hopped in her car and headed two hours south of her home base in Louisville, KY to the Gaylord Opryland. 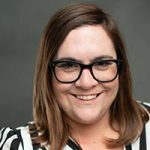 Learn about what she and her family did while they were visiting! Since I live just over two hours from Nashville, I am well aware of the Gaylord Opryland and its annual Christmas event. Although I wanted to, I never had the chance to visit during the holiday season. When the opportunity presented itself to go and see the festivities for myself, I jumped at the chance! 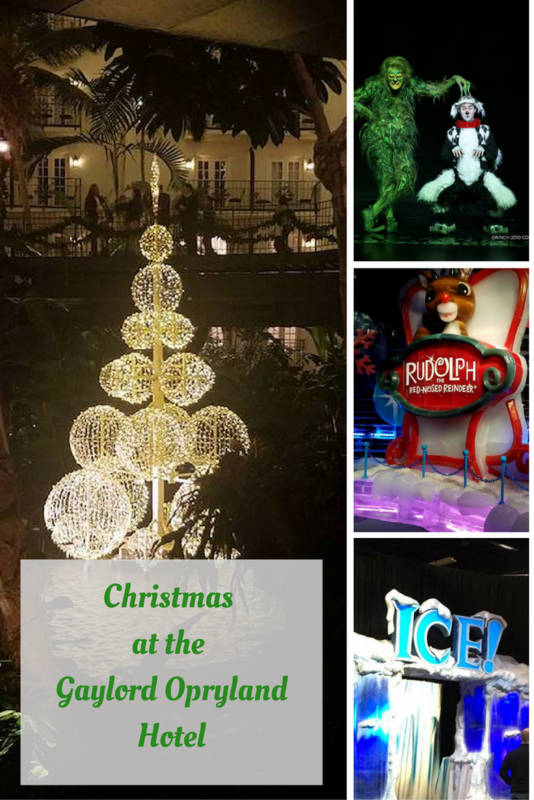 For years, I have heard about ICE, the production that the Gaylord Opryland and the other hotels in the Opryland chain present for the Christmas season. It sounded wonderful but I hadn’t ever made it to Nashville to experience it for myself. This year, my time came. 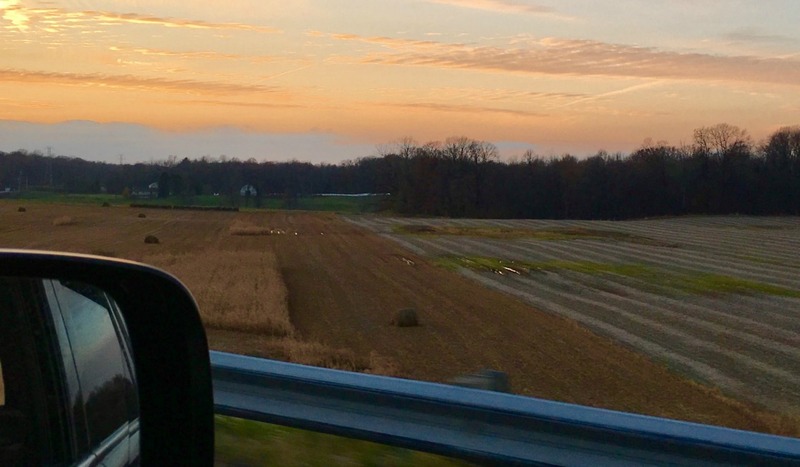 On Black Friday, I was lucky enough to head down the road two hours with my mom and my boys for our Nashville adventure. Upon arrival, it was immediately evident that every detail was carefully planned, even down to the Christmas tree decorations in the revolving doors. Look closely, there is an elf in there! I have always said that holiday lights can make even the grandest place seem grander. The Gaylord Opryland was certainly one of those places. Just past the lobby where guests are greeted, rooms are assigned and bags are escorted to rooms is a spot that makes you take pause and take in your surroundings. We were just there for one night, so we had a lot of ground to cover. Here are some things you should know, should you get the chance to stay at this lovely property. The resort is large, as in over 2,000 rooms, so you can imagine just how very crowded the resort can get. For even more perspective, my step tracker clocked me at over 15,000 steps, after walking around the resort for a full day! Our room was an atrium balcony room, which meant that we had a room with a balcony that overlooked all of the lights and activity below us. My kids loved going out on the balcony and spotting even more lights and decorations. We hurried for dinner at one of the many restaurants on the property. The Gaylord Opryland has several levels of dining options, from casual to reservation needed. We opted for simple, due to our time constraints and, well, because we had kids with us. The restaurants can get crowded, especially when the hotel is at capacity, so planning ahead will be your friend in this situation. While the casual restaurants can be alluring, I would suggest securing a reservation for dinner, especially if you have a show to attend. 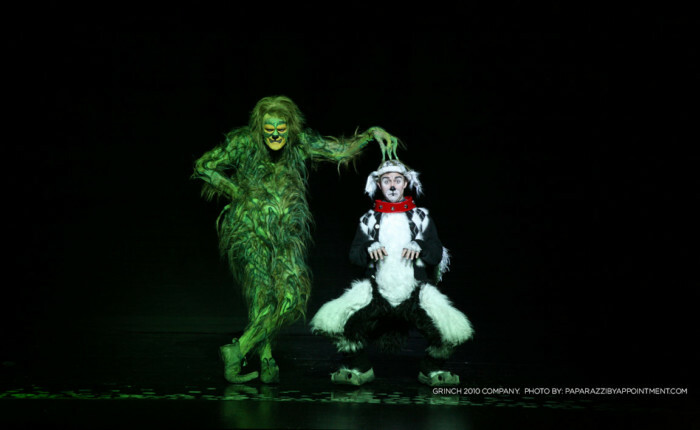 We were fortunate enough to have tickets to the production of Dr. Seuss’ How the Grinch Stole Christmas. It was fantastic! The costumes and set were as if the pages of the classic book came to life and the casting was totally spot on. The play lasted for 90 minutes. My 7-year-old was captivated the entire time. My 5-year-old was enjoying himself but he ended up falling asleep halfway through. What makes this show even better is that my kids previously wouldn’t let me read the book to them because they said it was a scary story. Now, they are talking about the Grinch quite a lot. Be sure to bring some spending money, because they were selling the cutest plush characters! If you can make the time to see the performance, I very highly recommend it! You can reserve tickets here. 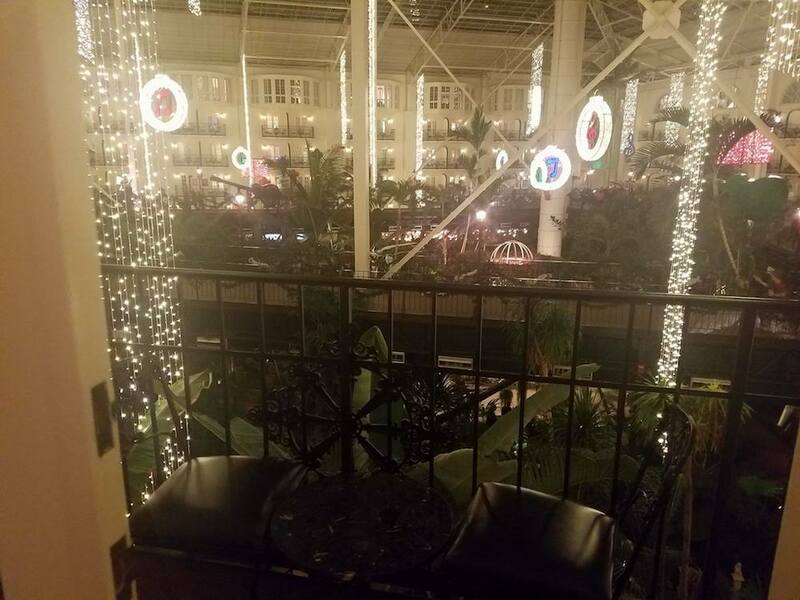 Traveling Mom Tip– The Gaylord Opryland provides complimentary bus service from the hotel to the Grand Ole Opry building. The Grand Ole Opry building is adjacent to the Opry Mills Mall where they have shopping and dining. So if you wanted to get off the property to eat without having to move your car, this is an easy way to do it. Plus, my kids loved riding the bus! Quite possibly the crown jewel of the Christmas experience at the Gaylord Opryland is ICE. 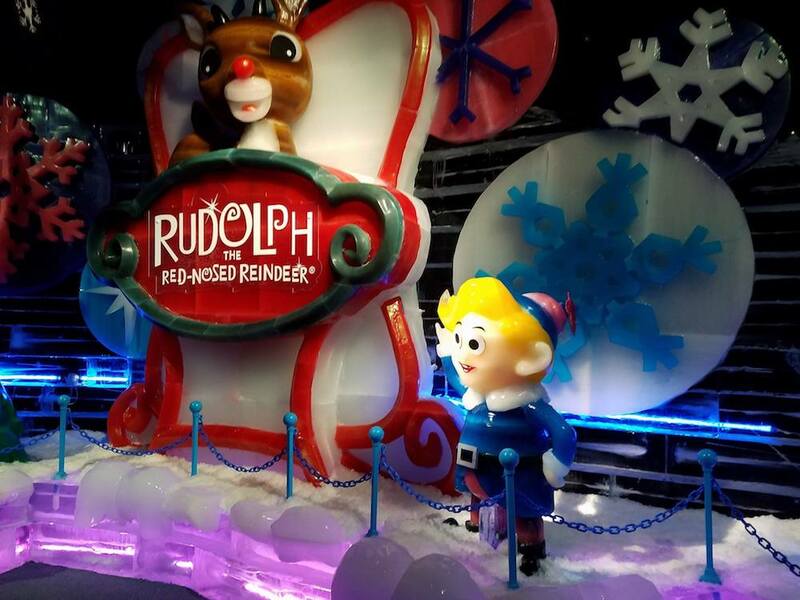 The exhibit features over 2 million pounds of hand-carved ice sculptures, each year depicting a different theme. This year’s display featured scenes from Rudolph the Red-Nosed Reindeer. The room is a chilly 9 degrees; each visitor is given a very heavy, very warm blue jacket before walking around the exhibit. Still, I wish that I had taken gloves and a scarf with me. The jackets didn’t have pockets so I had my hands tucked up into the sleeves and, while the jacket had a hood, my nose quickly got very cold. In addition to the sculptures, you also have the opportunity to ride an ice slide, which was a fun experience. It is a lot of fun to slide on the ice when you are prepared for it, rather than falling and sliding on the ice while walking to your car! At the very end of ICE was a beautiful nativity scene made of crystal clear ice, it was quite possibly my favorite ice sculpture. Upon exiting, guests will find themselves in a gift shop with lots of keepsakes and hot chocolate! The prices were pretty reasonable in the gift shop, but as a momma I always like to know if I need to prepare for a gift shop situation with my kids. TravelingMom Tip: I would suggest attempting to arrive at ICE right as the doors open. We got in line about 11 a.m. (the doors open at 10) and waited for a good bit and the area was already quite crowded. Or if you could swing a weekday visit, chances are the crowds would be even lighter. There are other options for you to enjoy while visiting ICE, like outdoor ice skating, a snowball toss or snow tubing. These are available for an additional fee. The activity that both of my kids keep talking about was the Elf on the Shelf scavenger hunt around the hotel. The scavenger hunt took you all over the hotel looking for the famed little guy. We got an early start and had the hotel virtually to ourselves. In my opinion, that was the best way to see the hotel. Especially, minus the crowds! My kids loved reading the clues and working the puzzles and I have to admit that I am quite sure I enjoyed myself just as much as they did. 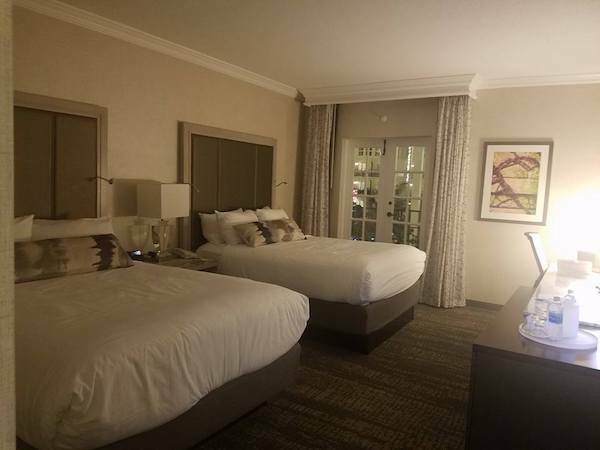 I was partial to the scavenger hunt because it allowed me to truly take in the beauty of the hotel because I was seeing so much of it all at once. We walked a TON! My step tracker had us at 9,000 steps before 10 a.m. The hotel was fantastic and the holiday decorations added to the festive mood. 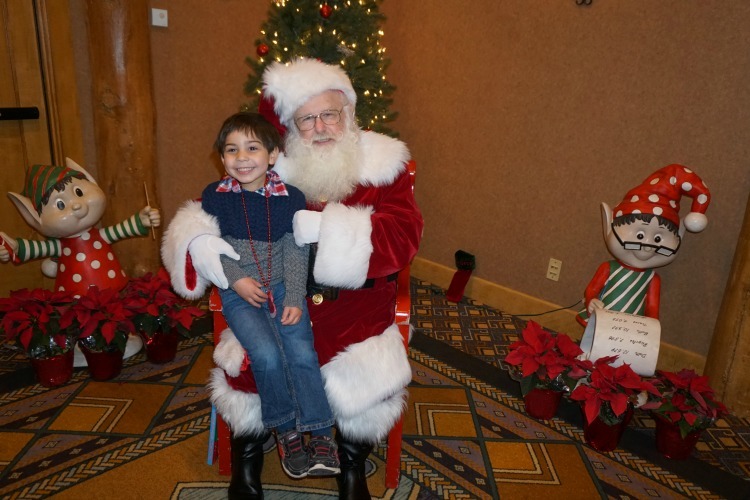 I enjoyed getting into the holiday season with my kids. However, I would likely attempt to visit when ICE first opens. My children are smaller and I had to keep a very close eye on them while we were there. I think that there would have been less stress on my part and more enjoyment (if that is possible) on theirs if I had been able to give them just a bit more freedom. 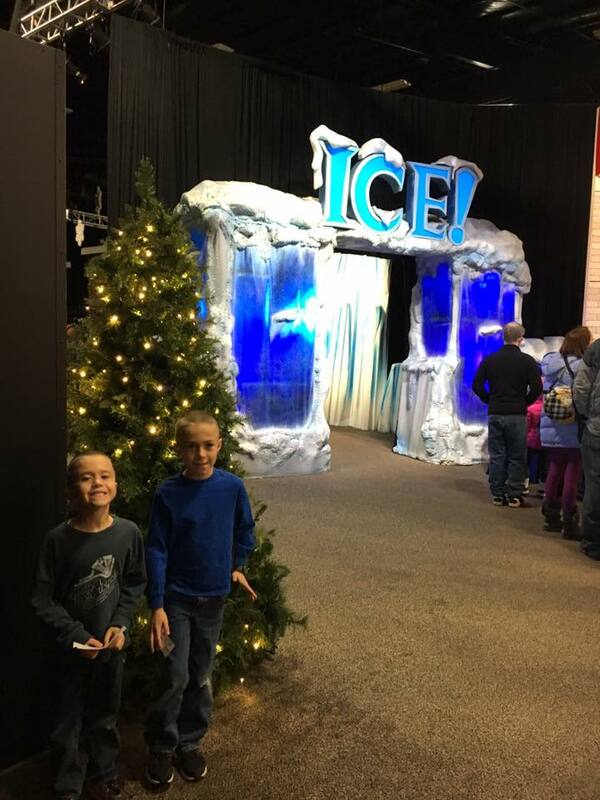 ICE runs from November 11th – January 1st.